The greatest Mac might finally receive an update. I belive that the Mac Mini is one of the best computers Apple Inc. has ever made. Fans of the product loved the $500 pricepoint, the ease of use, and the form factor. I used to plug my Mac Mini into my television to achieve a makeshift Apple TV functionality. Other developers and designers worked on their Mac Minis and kept them alive and kicking with DIY upgrades. 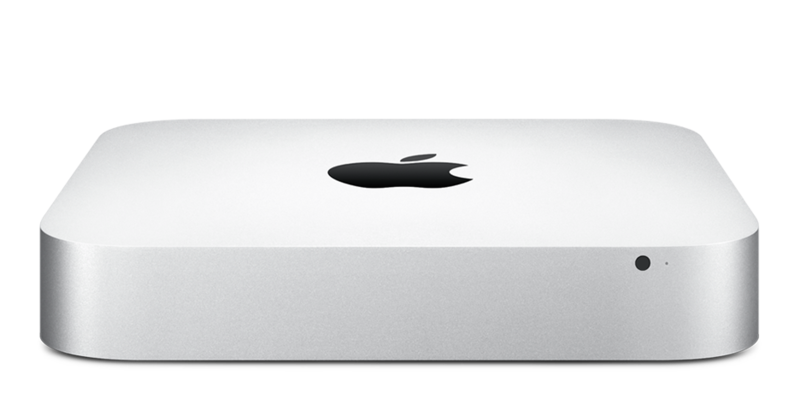 Professional users have been fleeing the Mac ecosystem for a number of reasons and Apple hopes to stop some of the bleeding with the long-awaited refresh of the Mac Mini line as well as a potential introduction of a lower-priced Macbook. Most Macs do not feature compelling graphics card configurations and key production applications like Adobe's CS just chug on Macs when compared to a Windows computer powered by NVIDIA GPUs. Even Apple's latest attempts at appealing to pro users like the iMac Pro are very expensive when compared to a PC equivalent build. Mac Mini Pro could definitely fill the gap that exists for creative individuals who prefer Macs, but need performance. Apple is also rumored to be working on a new Mac Pro to replace the trash can design they released several years ago. We can only hope that Bloomberg's report is accurate and that there will be some new Macs and Macbooks for us to check out this fall. No word on if Apple has come to realize that their current laptop keyboard design needs to be improved, but a Shacker can dream. A Shacker can dream. That company just keeps handing me money. but it'd be soooo great if it wasn't. What would a mac mini pro consist of? Like a hideously overpriced Intel Skull Canyon NUC, is my guess. Maybe something with an Intel KBL-G with Vega graphics integrated. I hope they do this. I'd like a Mac to mess around with but not enough to buy an iMac, and the "current" Minis are ancient technology. Also, a non-upgradable soldered-in SSD just like the RAM is a given.